The vespa breaking system, it definitly isn’t a disk brake, they are a drum brake system common at this model launch date. 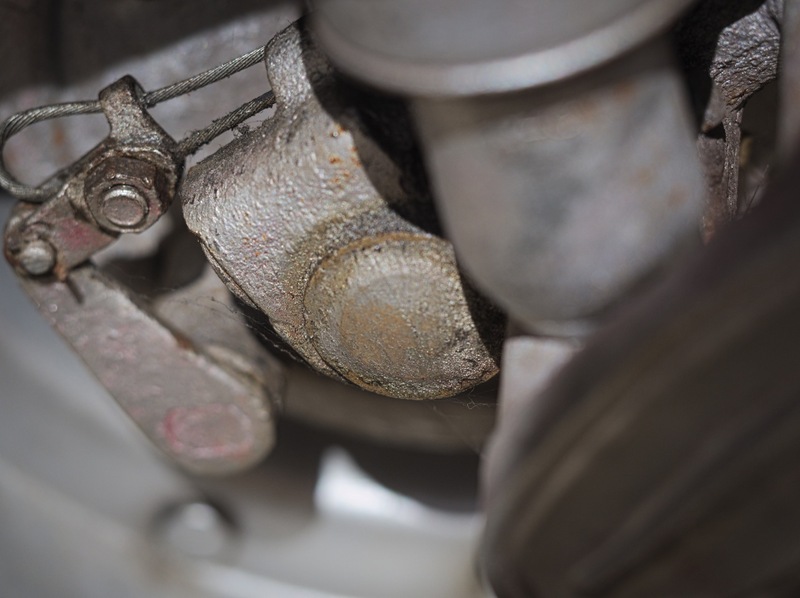 A steel wire plays an important role in the braking system. It reminds me of my V-Brake bike, good old technology.